Play only during a challenge in which you are the defending player. 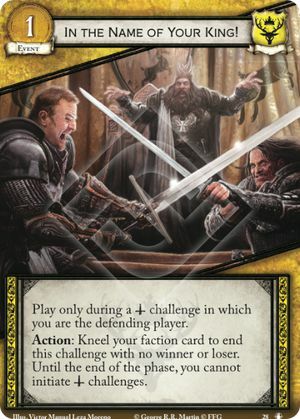 Action: Kneel your faction card to end this challenge with no winner or loser. Until the end of the phase, you cannot initiate challenges. The Road to Winterfell #28.